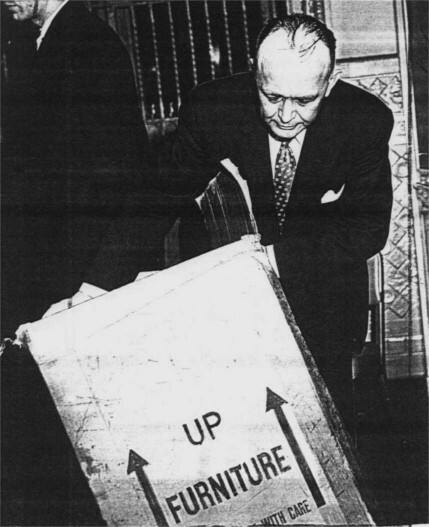 Captain David H. Roberts displaying the bassinet box the unknown boy was found in. Another view of the bassinet box. Bottom end of box with shipping label. Close-up view of shipping label. The type of bassinet the box originally held. 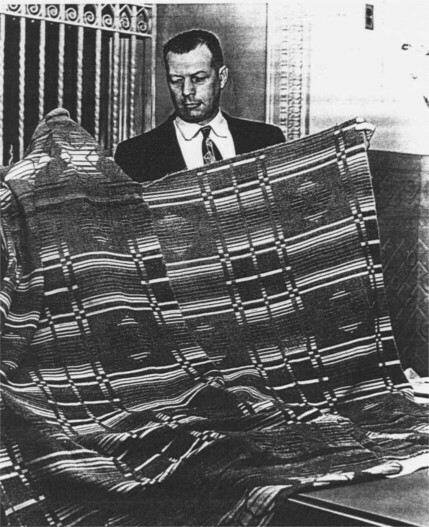 Homicide detective Edmund Repsch displaying the flannel blanket the boy's body was wrapped in. A swatch of material taken from the blanket. The blue corduroy cap that was found at the discovery site. Front view of the blue corduroy cap. Rear view of the cap, showing leather strap.